We are one of the leading licensed Custom Brokers in Mumbai and having associates all over India. Being an authorized Custom Brokers, we handle documentation and inland clearance for our clients. We are equipped with the state of the art ICEGATE system through which documents are filed with the customs online. Hence we leave no chances for occurrence of any problems or delays. The relationships we have built through the years have allowed us to grow as a company with the huge amount of experience. We provide Shipping Broker that we provide to the organizations that deal international or multi-national export and import. 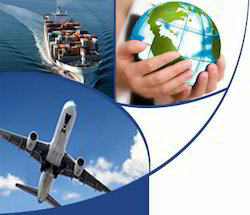 We can arrange Sea Freight Forwarding for national as well as international destinations. Looking for Custom Brokers ?